Mersal (Adhirindhi) created nationwide sensation with controversial GST dialogues. Ilayathalapathy Vijay’s next film ‘Sarkar’ too is making headlines since release first look posters. Political leaders have objected hero Vijay promoting smoking on it. The film is riding high on expectations coming as third film in the crazy combination of AR Murugadoss and Vijay. Their previous films Thuppakki and Kathi have been huge blockbusters. Shoot of ‘Sarkar’ is likely to be wrapped up by August. Reportedly, the team is filming crucial scenes at a huge set erected in EVP Film City in Chennai. The film unit will be leaving to the USA to shoot hero intro song. Keerthy Suresh is pairing Vijay after Bhairava. The film also has Yogi Babu, Radha Ravi and Varalaxmi Sarathkumar. AR Rahman scored the music. 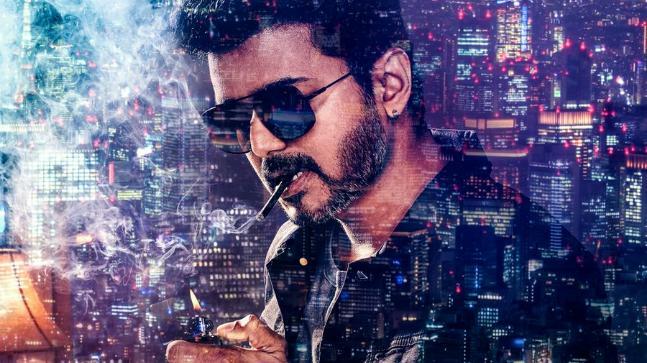 Sarkar is planned for a grand release for Diwali.